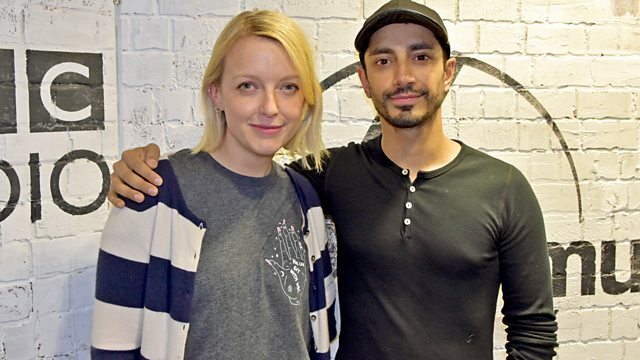 Lauren is joined by Swet Shop Boys, aka Riz Ahmed and Heems, who talk about their debut album. Plus she has the week's Memory Tapes, a celebration of a listener's beloved mixtape. Riz Ahmed (Riz MC) and Heems (Das Racist) come in to talk Lauren through their debut LP. Swet Shop Boys released 'Cashmere' in October on Customs / Warp and it brings together an eclectic Trans-Atlantic mix of Qawwali hand claps, Bollywood string drama, spiralling sitars, Western synths, and an arsenal of drums. We'll play out some bits from their recent Asian Network session, and find out how two prolific artists, actors and activists came together in this unique collaboration. Lauren also has this week's Memory Tapes, a celebration of a listeners beloved mixtape. There's more new music for our Just Added playlist, a Headphones Moment and as much great music as we can pack in. Riz Ahmed of Swet Shop Boys talks music, acting and Rogue One! Sunny Afternoon - Sound Of The 60's,V. Dusty - The Silver Collection.